Whether you are completing household chores or spending time out with the family, having a walker enhances safety and mobility. Glides for walkers help seniors to increase their independence because their walker will be easier to maneuver. Learning more about the different options ensures that you make the right choices. We strive to simplify the process by providing details on five glides and wheels for walkers. They attach to most walkers and glide over multiple surfaces. ADDS STYLE, SAFETY & MOBILITY to your folding walker and easily glides over door jams and small barriers. EASILY ATTACHES WITH NO TOOLS REQUIRED over metal tube of folding walker. Installs in just minutes. UNIVERSAL FIT for all folding walker makes and models with 1 1/8" tube shaft diameter. The NOVA Medical Products Walker Glide Skis allow those with mild to moderate mobility issues to move faster when they are using their walker. These are not ideal for severe mobility restrictions due to the glide freedom they offer. These skis offer greater stability to reduce fall risk when you are using your walker. The nylon material allows you to use them on almost all surfaces. You can place them on all walker types with the right leg diameter without using tools. You do not have to remove the tips to clean them, making them ideal for seniors who cannot bend over easily for cleaning. They also do not collect ground germs or dirt. They are easy to install, pre-cut and slide smoothly. Recommended for indoor use to protect floors from being scratched by walker. 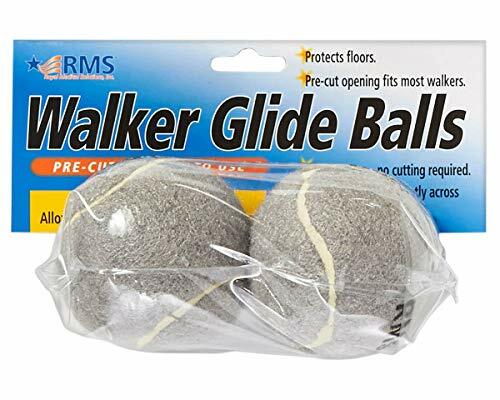 The RMS Walker Glide Balls allow seniors to glide across indoor surfaces faster and easier. They are not overly slick, providing stability when you are using your walker. You can place these balls on all four walker legs without making the walker slide too easily. These balls will not scuff wood floors even when you are using your walker to maintain more than half of your body weight. They speed up movement on most indoor floor surfaces but may get stuck on the pavement and similar outdoor surfaces. Installation requires you to squeeze the balls. Those with limited hand strength or arthritis may need help securing the balls firmly to the legs of their walker. However, they remain in place once they are on your walker. They install without tools and are adjustable. 3 GREAT COLORS to match your style - which is your favorite? The Sneaker Walker Glides for One-Inch Walker Tubes come in three colors for walker personalization. The attachment mechanism is flexible, so they slide into place inside the bottom of the walker legs with little effort. They work to replace the original walker feet and will not go over them. These glides are best for indoor surfaces. However, on thick carpeting, they may catch on the fibers, inhibiting mobility. On outside surfaces, they allow for smooth movement as long as the surface is not overly porous or bumpy. These glides are ideal for seniors with varying mobility needs. They allow you to move faster, but for those with significant mobility problems, they also provide stability to prevent your walker from sliding out from under you. They move across multiple surface types and reduce friction. The HealthSmart Walker Ski Glides install quickly using a Phillips head screwdriver. Seniors with arthritis or hand weakness may need assistance to ensure the screw that locks the glides into place is secure. These glides work for indoor and outdoor surfaces. You can combine them with rubber tips or wheels on the front walker legs. Seniors will not have to lift their walker when going across low doorways or thresholds, providing safety when walking. They also reduce the friction of any rubber tips on the front of the walker. This feature ensures easier use for those with limited upper body strength. The skis glide smoothly, allowing you to make turns without having to lift your walker or make frequent angle adjustment as you walk. Glides over multiple surfaces and will not get caught on thresholds or in doorways. Walker Coasters are ideal for seniors with mild to moderate mobility impairment. They may be too slick for those who require significant stability. They have a footpad design, so they can work with all walker types, and even replace wheels. 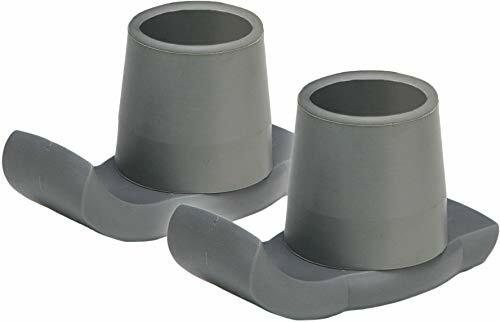 You can use these in outdoor areas that have cracks and bumps without the coasters getting stuck on these. They also glide over indoor thresholds and doorways. These coasters are ideal for seniors who are unable to clean their walker feet frequently since they resist dirt and germs. They also dry quickly when using them on wet surfaces, reducing the risk of falling due to a slippery surface. This type of caster does not turn sideways as you are using your walker. They slide in all directions, allowing for easier movement without interruptions. Picking the right glides or wheels for walkers is vital to ensure optimal mobility. There are several factors for seniors to consider so that they pick the right product. It is imperative that you know the details of your walker. Measure the diameter of the legs to ensure that your chosen wheels or glides will fit. Consider your overall strength. If your current walker cannot afford any additional weight, you will want to seek out wheels and glides that are lightweight so that they do not inhibit your mobility. You should also consider the places where you will use your walker. For example, if you use it a lot at home and you have carpeting, your glide or wheel has to work on this flooring surface. Glides allow you to push your walker around with limited effort. This ability can enhance your mobility so that you have greater independence. 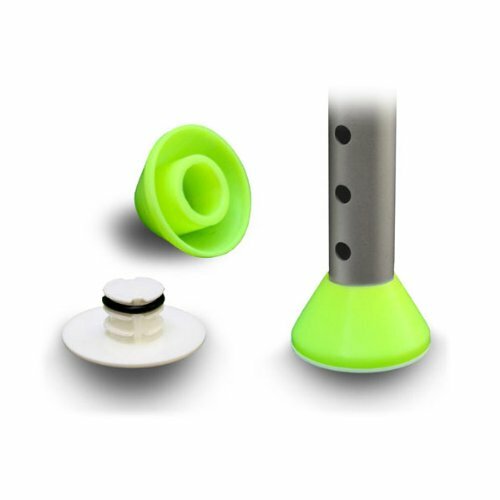 These glides resemble tennis balls, and they typically last longer compared to plastic guides. When exploring your options, make sure to determine if the tennis ball is pre-cut. If it is not, this will require some hand strength and steadiness to make the proper cuts. This type of glide looks like a sneaker, so you can personalize your walker. They typically install without any tools, so you will not have to worry about hand strength to put them into place. They usually glide over most surface types. This type of glide is typically very lightweight, making it a good choice for seniors with limited strength. 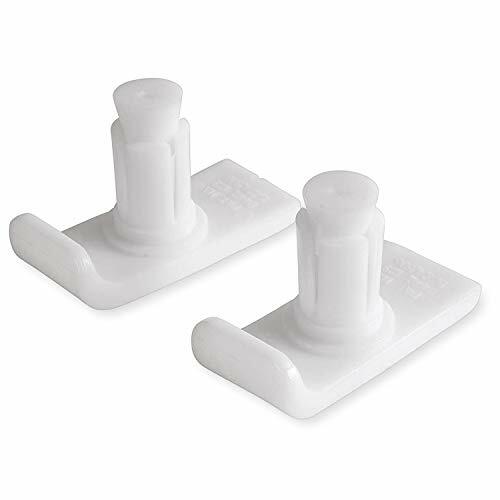 The tips generally are a rubber material, so you will not have to deal with friction or your walker getting caught on surfaces as you move around. Having wheels on your walker can help you to move faster on a variety of surfaces. It is essential to choose the right wheel type and number of wheels to get the most independence when you are using your walker. Wheels range in count and size. You may consider adding wheels only to the front of your walker to enhance mobility without causing your walker to move too much. However, on certain surfaces, such as dense carpeting, having wheels on all four legs may allow for easier pushing of your walker. Three wheels may allow for a tighter turning radius, making this option a good choice for smaller spaces. However, four wheels usually make your walker more stable. Rubber wheels offer more grip on surfaces, especially those that are slippery. They may also better absorb shock when you are using your walker on uneven or bumpy surfaces. They will roll across carpeting, but they might not be as efficient on carpeting as plastic wheels. Swivel wheels on a walker allow for limited movement restrictions. You can turn your walker easier, even when corners are tight. You can also back up and move forward while making directional changes easier. This type of wheel usually has a locking mechanism. This lock is often a small latch on the wheels, so you will need to be able to use your feet to engage and disengage the locks. There is a lot of information to consider to ensure that you choose the best wheels or glides for your walker. Think about your walker and your mobility needs, the products here and your preferences to discover which option is best for you. We feel the NOVA Glide Skis are a great overall option due to the overall ease of use and overall stability they provide. When it comes to adding glides or wheels to a walker, the goal should be to find a set that is safe and sturdy to ensure the overall safety of the senior using them. We feel confident in each of the products we’ve reviewed and hope you’ll now be able to pinpoint the ideal set for you or the senior in your life.